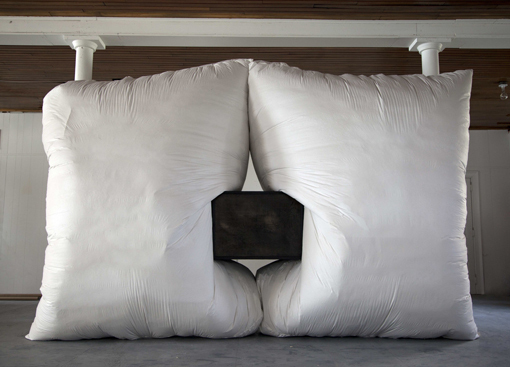 Ian McMahon's large scale, temporary sculptures reshape the atmosphere of the space in which they reside. His sculptures challenge the permanence of place through performative and materially focused temporal constructions. Ian McMahon was born in Ithaca, NY. He received a BFA in Ceramics from Alfred University and MFA in Sculpture from Virginia Commonwealth University with the Jacob K. Javits Fellowship. Currently living in Hornell, NY he is the co-founder and co-director of the Belfry, an artist run exhibition venue. McMahon’s work has been shown both nationally and internationally.